Clustering is an unsupervised machine learning method that segments similar data points into groups. It's considered unsupervised because there's no ground truth value to predict. Instead, we're trying to create structure/meaning from the data. In this tutorial, we'll walk through the code of the K-Means clustering algorithm. 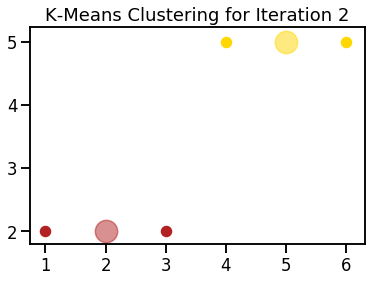 K-Means is a fairly reasonable clustering algorithm to understand. The steps are outlined below. 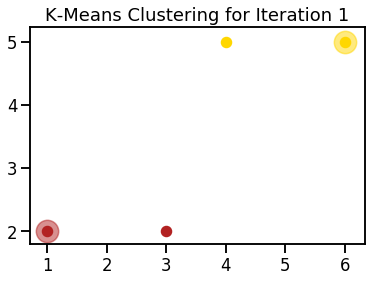 1) Assign k value as the number of desired clusters. 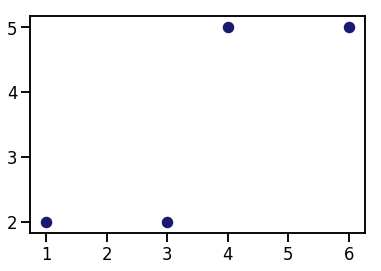 2) Randomly assign centroids of clusters from points in our dataset. 3) Assign each dataset point to the nearest centroid based on the Euclidean distance metric; this creates clusters. - Euclidean distance computes the distance between two objects using the Pythagorean Theorem. If you walked three blocks North and four blocks West, your Euclidean distance is five blocks. 4) Move centroids to the mean value of the clustered dataset points. 5) Iterate/repeat steps 3-4 until centroids don't move or we reach our maximum number of iterations allowed (called convergence). Optionally, you could repeat steps 2-5 a fixed number of times (such as 10). With each new random initialization of centroids, you may get slightly different results. 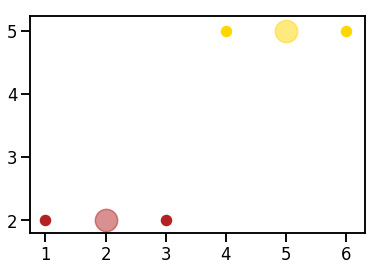 With different results, you'll likely have different centroids and slightly different dataset points in each cluster. But how do you measure the success of running steps 2-5? With each run of steps 2-5 you can measure the inertia. Inertia is the sum of squares for all dataset points to their closest centroid. You can measure inertia after each convergence. If you repeat steps 2-5 multiple times and measure the inertia each time, the optimal clusters are the final assignments with the smallest inertia. I thought it'd be fun, and it was! I also wanted to understand step by step how it worked and get practice working with the code behind complex algorithms. The foundations behind relatively simple machine learning algorithms such as K-Means for clustering, linear regression for regression, and logistic regression for classification are widespread in other algorithms and in deep learning. I plan to code more of these relatively simple algorithms in the future. Disclaimer: the code below is nowhere near as feature-rich or performant as the algorithm in the sklearn library. However, it is fairly easy to read, understand and can help you better understand the math used in many clustering algorithms. Call on the scatter method on our pyplot object and pass in our list of x-values, y-values and a single color for all our points. located groups - of dataset points. Assign dataset points to clusters based on nearest centroid; update centroids based on mean of cluster points. Repeat steps above until centroids don't move or we've reached max_number_of_iterations. Implements K-Means the max number_of_centroid_initializations times; each time, there's new initial centroids. Below is the extensive logging messages for running my algorithm. Please ignore the strange colors. That's something I'll fix later.